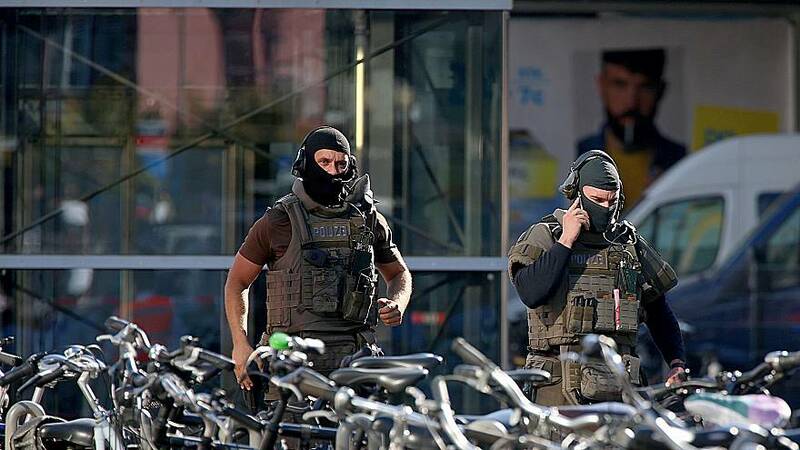 MAINZ, Germany — Police in Germany have shut down parts of Cologne's main train station after a woman was apparently taken hostage on Monday. Eyewitnesses said around 6:45 a.m. ET a man entered a pharmacy at Breslauer Platz, near the backside of the train station, and reportedly took one person hostage. A police spokesperson told NBC News that "one woman has been taken hostage" but could not confirm if shots had been fired. Several local outlets reported that multiple people may have been taken hostage. Authorities are in contact with the attacker, a police spokeswoman told NBC News, who added special forces are on site and police urged people to stay away from the area. Deutsche Bahn, who operates the railroad, tweeted that trains in the station are delayed and the station is blocked. This a developing story. Check back for updates.